Posted by David Gillespie in blogging, social media, technology, web 2.0. Those who know me know getting under social media’s skin is one of my pet projects, only because the current discussions (I feel) miss the point, which I believe is the democratisation of platforms from which people have the opportunity to speak on a mass scale. More simply put, with the advent of easy blogging tools (like WordPress which runs this site), I get to spend my time thinking about what i want to say as opposed to how the infrastructure underneath it all works. I wondered aloud last August when and how this sort of thing might come to impact the creation of music. Along came MelodySphere which had a simple shot at creating loops collaboratively but in a browser. Nice, but awkward to use. While the newest kid on the block (my block anyway) doesn’t get us there, it takes us one step closer to the removal of publishing barriers. Posterous allows you to email text, video, music and pictures to an address and then automagivally does the rest. You don’t even need to sign-up as you can see from my simply created Posterous page. It gives you a URL (which you can alter later if you wish) and instantly publishes whatever you sent. In my case, I shot them an MP3 of a song of mine and a minute later got a reply with the URL. I love this, seriously love the removal of yet another barrier to people raising their voices, and while the geeks out there might bemoan the approach of the madding crowds, I believe the revolutions that will lead us out of economic nonsense will be born of the work being done by folk who are trying to make it easier for ideas and thoughts to be spread, and taking down anything that might stand in their way. Posted by David Gillespie in marketing, technology, web 2.0. Man did not weave the web of life, he is merely a strand in it. Whatever he does to the web, he does to himself. – Chief Seattle, Amerindian. pg. 10 – The Art of Looking Sideways, Alan Fletcher. There’s always so much written about how social norms can go out the window when the anonymity of the web or even the simple removal of a human face takes over. I believe it’s a temporary state though, and as much as I am loathe to admit it, I think the rise of Facebook has done more to bring about social change over the web than any other service, placing a premium back on the connections we really do have, versus say MySpace, Friendster, or whatever came before which was mass convergency at the expense of intimacy. Of course lots of people still choose to use Facebook in that manner, personally I like to keep things a little more closed. But I think we’re just about past the idea that what is appropriate social behaviour somehow differs face to face versus online. What we do to the web – or on it – we do to ourselves, and when we reduce the connections we have down to a series of contact details and earning potential, we get nothing more than that in return. Posted by David Gillespie in digital strategy, marketing, social media, web 2.0. 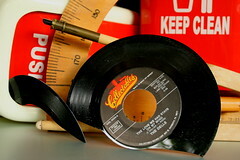 Experiences facilitated by brands but not about brands – David Gillespie (broken record). Entertainment, content of all shapes and sizes, offline, online, anywhere you like it. The problem could be a lack of conversation, and when you give the community around your offering the tools and platforms to make themselves heard, you take a step towards something much bigger than where you’ve been before. As I said when I called social media out, the exciting thing about where we are in our digital evolution is for the first time in our history it is as easy to create content as it is to produce it. So what are you doing with this opportunity? If your problem is nobody knows about you, make that the community’s issue and give them a reason to talk. Rally the tribe and give them purpose, make your anonymity their problem, let them solve it in their way. If you’ve been good to them along the way, they will reward you more than your own efforts ever will. Image courtesy of paf triz, with thanks to compfight. Posted by David Gillespie in philosophy, web 2.0, work/life. I’ve had enough. I’m done with social media and I’m calling you, you and particularly YOU out on it. I’m nailing it to the wall for the crock that it is. UGC was the first to cop it, social media is next. I’m looking at what Jules is doing with The Population, my friend Matt‘s work with DP Dialogue, whoever else is out there. Yes, we have the Beersphere tonight, yes I blog, vlog, put music on MySpace, I comment, bookmark with del.icio.us, I use compfight to search Flickr for Creative Commons-licensed imagery, I discover new music via Last.fm and Pandora, and I Twitter. I do all that, and I’m telling you right now social media will be, in the great history of the web, hell in the great history of the next three years (if that long), the 2.0 equivalent of Pets.com. First, we have to agree on something. You can choose to disagree, and I welcome that, but my stance is this: the web is inherently social. Not for everyone, particularly not for older generations, but from me back to the babies it is inherently, indiscriminately, and unavoidably social. Next, we have to agree that the web is young. The web is still figuring out what it is, what it wants to be. You know movies? The name comes, need I remind you, from moving pictures. Photos that seemed to come to life, truth 24 times a second. Web 1.0 was moving pictures, we’re now in the Talkies. Imagine if film had stalled when talkies came along and we suddenly found the actors had horrible voices? That is where we are; social media is “the talkies” of the Internet. Social media isn’t anything special, it is just the Internet in its current form. All media is social – Julian says this himself. It is a period that will forever be known as a time where it became as easy to create content as it was to consume it. THAT is the important part of what is going on. Not Web 2.0, not new media, not digital media, not post-media and certainly not social media. If all media is social, media must be inherently social and if we agree the web is inherently social then the Internet is, my friends, just a collection of media (we need to separate that idea from the business of media). We have created a new taxonomy in an attempt to somehow describe the “otherness” of this new space, which is itself not a recent development; we’ve separated movies and TV for years even though they showed us essentially the same thing (like FM radio and Pandora do now). Watching video online is no different, and soon we won’t treat it like it is. In fact, thank God (or Dawkins for the atheists) we’re rapidly coming back around to a place where we’re not stuck on discussions of platforms and mediums; there will only be one platform where everyone produces and, once again, content will be king. That platform is the Internet, and, dear client folk, if someone comes to you with a digital strategy that does not have a focus on creating 1-to-1 connections in your audience, then run for the hills. But do not be caught up in the myth of social media, that is just the interwebs as we know it. As Iain Tait said much more succinctly than I, digital is not a thing anymore. Now, let’s talk about something interesting for a change. **Update** I got the name of Matt’s social media company wrong as he points out below. Apologies to him and the good people at De Pasquale. Posted by David Gillespie in business strategy, creativity, intent, strategy, technology, web 2.0. I spend a lot of time with friends thinking about where tomorrow’s businesses lie, and I’m on the record that great content with good intentions and an open philosophy will be at the heart of the real money-makers in the next decade. 1. All companies must be transparent. Your talent base and IP must be exposed and connected. They’re not useable unless they’re linked. 2. The recipient of IP and talent is the party responsible for monetizing them. The more you enable the flow of IP and talent AWAY from you, the more it comes BACK—with greater value and skills to monetize. Just watch how Hollywood operates. 3. A porous organization is the key to efficiency. In other words: do what you do best and link to the rest. 4. There are opportunities to add value atop the IP and talent layer. This is where one can find business opportunities: by managing abundance rather than the old model of managing scarcity. The market needs help finding the good stuff; that curation is a business opportunity. Great piece. And it contains some links to some other fascinating reads on “the linked economy”. Mark also takes the time to talk about opportunities that exist around monetising the aggregation of information and content, of which Threadless is a prime example (as is Flickr, YouTube, MySpace etc.). The idea here is this: find the verticles in seemingly well-mined markets, and you will open up doors the rest of us never knew existed. 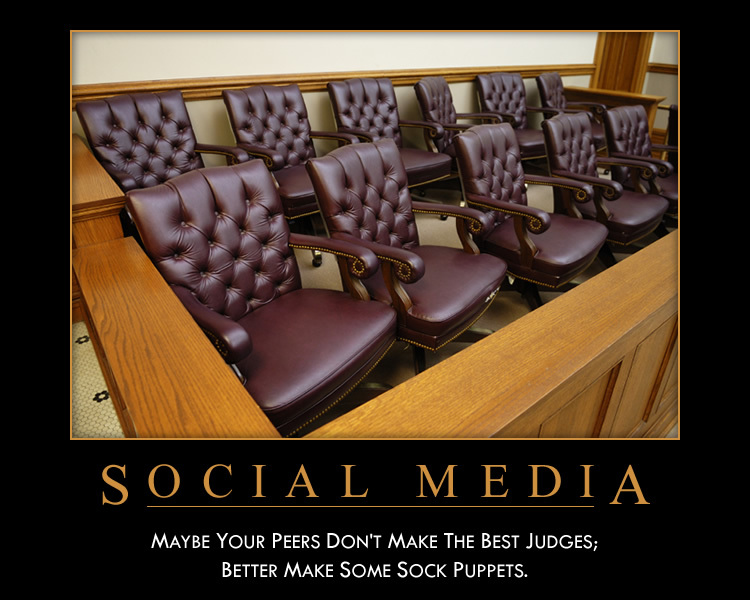 Posted by David Gillespie in philosophy, social media, web 2.0. 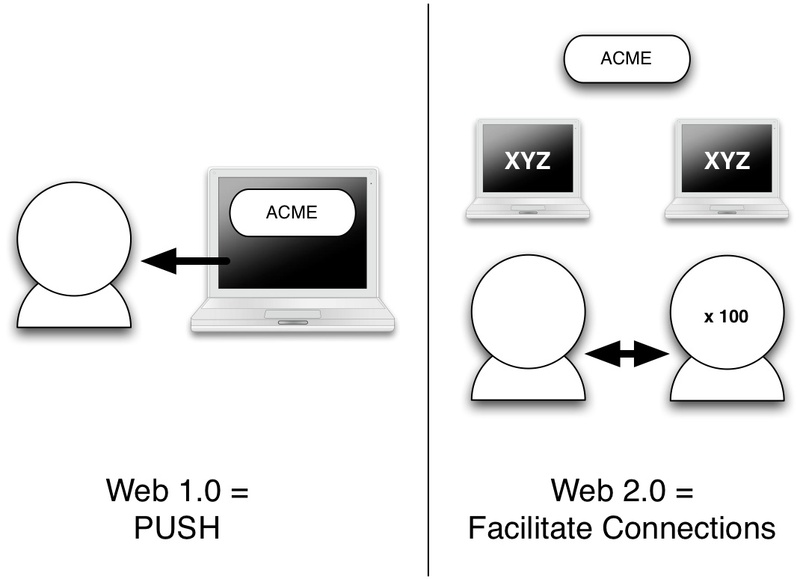 I like making sure we draw lines between simple and accessible, but could Web 2.0 really be as easily explained as this? The only fault I’m thinking is the x100 – connections are still one to one, just on a mass scale. Image courtesy of my mate Alex – if anyone knows the original source please let me know so I can give proper credit. **Update** Turns out I thought the image must have come from someone other than Alex, when it did in fact originate with him. This is not because I thought him not capable of extraodinarily insightful cartoons, more so because, much like Jesus having walked the Earth, the idea deities occasionally walk among us is somewhat hard to believe. There you go. Alex White, genius personified! Posted by David Gillespie in marketing, social media, web 2.0, work/life. Earlier this year in one of my regular guises as copywriter-to-the-stars, I wrote an EDM piece for a competition that began “Oh hai.” It was a pure-play in my mind at the folk who would know instantly what I was talking about and at none of the people who wouldn’t. In hindsight it perhaps wasn’t the brightest move to make, but I was feeling something in my gut at the time that Seth articulated really well recently – in order for people to feel like they belong, some people have to feel like they don’t belong; to have insiders you have to have outsiders. I wanted the people who got it to understand a fundamental truth about the brand I was writing for. They did, but I also learnt very quickly that the audience I had in mind was smaller than I thought it was – at least for that particular brand. Take some time to watch it this morning, it’ll make you smile. Oh, found via Dino who is organising this week’s BeerSphere in Toronto.